Visual Studio Code>Themes>gruvball themeNew to Visual Studio Code? Get it now. ✓ Dark theme for Visual Studio Code. ✓ Low contrast and easy on the eyes. ✓ Works with all languages built-in to vscode. 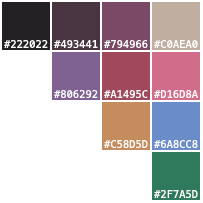 ✓ Color palette rooted in deep purples and reds. 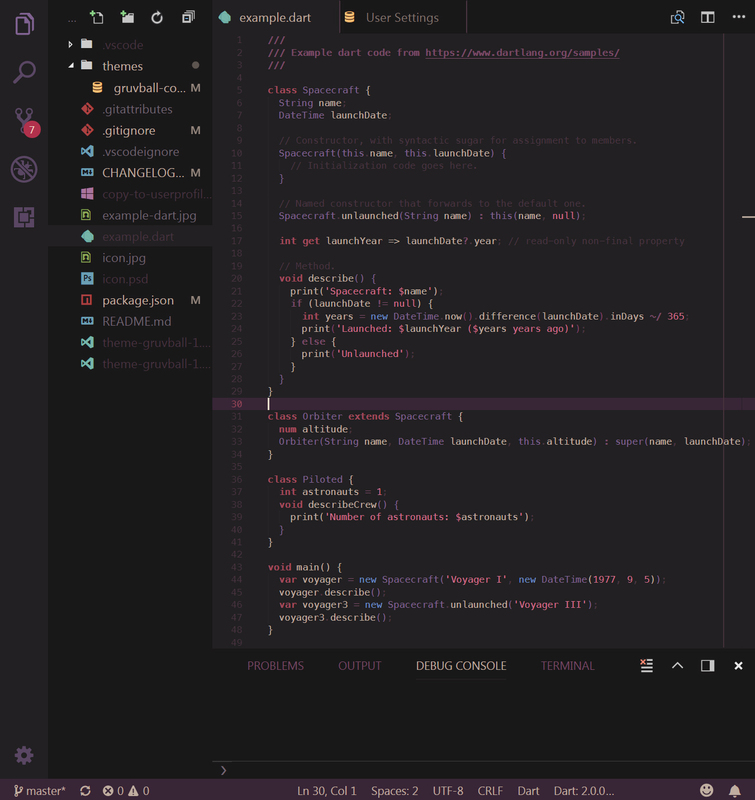 See the VS Code Theme Color Reference for more information.